For many home buyers, buying a home can be a huge burden. If you’re a first-time homebuyer, this milestone can be an especially stressful and overwhelming time. Fortunately, with help from the right lender, you can navigate the road to homeownership with the confidence of a seasoned veteran. When you decide homeownership is right for you, taking the first step may be the most difficult part. If you are concerned about where to turn next, or you need help staying on track during the home buying process, follow this first-time homebuyer guide below. When searching for a home, one question that comes up frequently is if you should rent or buy. This will largely depend on your unique financial situation, and each may have its distinct advantages. Do you plan to move in a few years? Does the neighborhood or community you’ve decided to settle in align with your long-term goals? Questions like this will help shape your decision. Renting’s biggest advantage is its flexibility. You have the ability to move after your lease is up, and you are not tied into a long-term mortgage commitment. If, for example, your career requires you to move, renting a property can be ideal for those who need to relocate. Or, if you plan to move to a new city in 1-2 years, renting may be the better option for you. 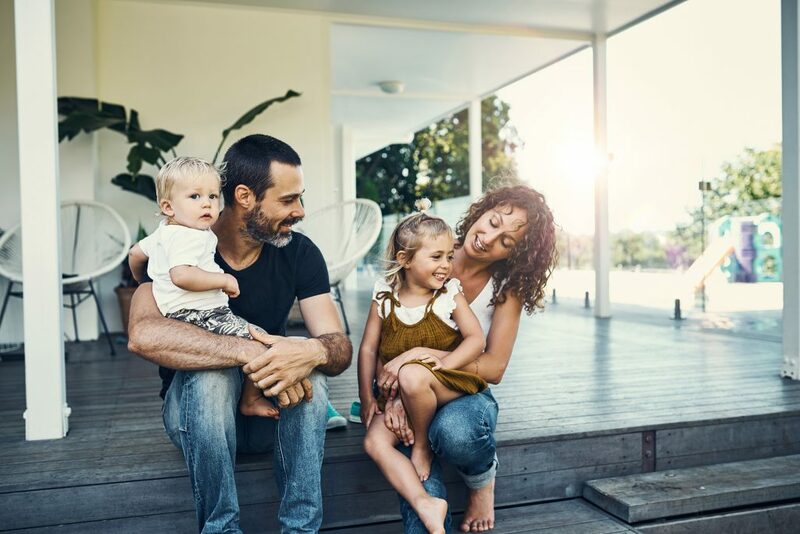 As flexible as renting can be, owning a home offers a variety of long-term benefits including predictability, security, equity, and potential growth in personal wealth. If the value of your property appreciates over time, your personal wealth will increase as well, though this is not guaranteed and dependent on economic conditions. Being a homeowner also allows you full creative control over your property as opposed to if you were renting. When you own your property, you have the freedom to make changes to the home. If you’re interested in a kitchen makeover, or you’d like to add a new deck as an addition to your home, you have the ability to make these modifications on a home that you own. These modifications would otherwise be off the table with a rental, given that the landlord of the property would need to give permission for any modifications. How Do You Know It’s Time to Buy? For many prospective homeowners, the decision to buy is one of the most important decisions in their life and can be both emotionally and financially complex. Though it’s not easy, making the jump to homeownership can be one of the most rewarding decisions you’ll make. There are a number of things that may indicate you’re ready to purchase a home. When it comes to making such a large financial decision, there’s no better way than to build up your savings. 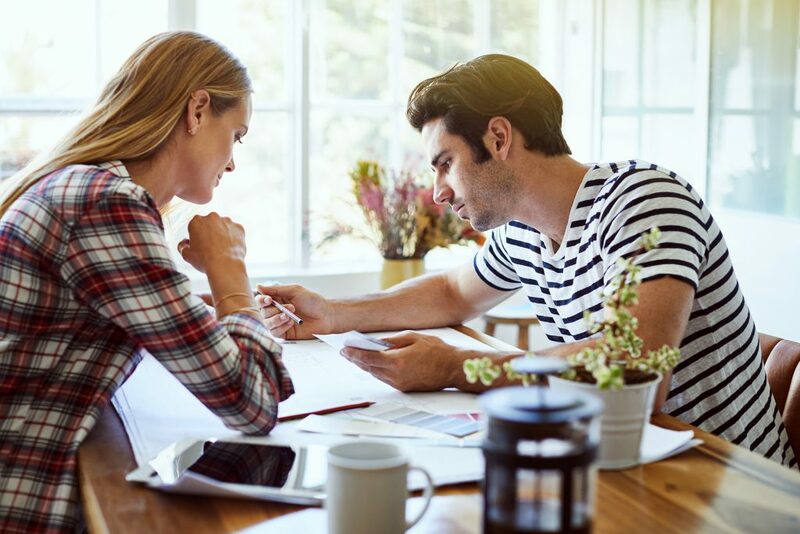 This will not only prove to lenders that you can save but may make you more confident in your decision to make the financial leap into homeownership. Another strong indicator that you may be ready to purchase a home are the economic conditions, which may improve the rate on your mortgage. This will vary depending on your unique financial situation, but the lower your interest rate, the less you will have to pay in interest over the life of the mortgage. With the standard mortgage length being 30 years, a small difference in your rate can make a significant difference in the interest paid during your term. Perhaps the most important indicator that it’s time to buy is your mindset – are you ready to commit? Homeownership comes with many responsibilities including maintenance, property taxes, the process of eventually selling your home if you choose to move, and so much more. The joys of homeownership and equally balanced with the responsibility of it, and you must decide you’re ready for both. If you have applied for a credit card or another line of credit, you have a credit report. Your credit report is a summary of your current credit standing, and your credit history, that show potential lenders how you handle debt. It includes the total amount of debt you owe, how you pay your bills every month, the age of your credit history, and more. Your credit report is an ongoing record of how you manage your finances. The information in your credit report has a huge impact on whether or not you qualify for a mortgage loan and what interest rate a lender may offer. It’s important to know the information in your credit report before you apply for a mortgage. Your credit plays a very important role in the mortgage approval process. Your credit score also is important in determining your interest rate, and loans your lender may offer you. It is important you know the significance of regularly checking your credit report. When purchasing a home, your down payment is an important aspect because it determines how much you will need to borrow. There are a number of ways to save for a down payment. For many people, it may take several years to save up for a down payment. Implementing a down payment savings strategy can be a critical component in saving enough. A common myth that may deter many buyers is the idea that you must put 20% down on your home. With today’s mortgage options, you have a variety of options available to you that may fit your financial situation more appropriately. Many loans offer as little as 3.5% down up front. It’s important to speak with your lender about your available options, and which is the right choice for you. There are a number of strategies you can use, but one method is to transfer a fixed amount into a dedicated savings account every month. This sets aside a pre-determined amount that is never allocated towards your disposable income. Many people find this method effective, since they never have the money to spend, therefore making it easier to save. 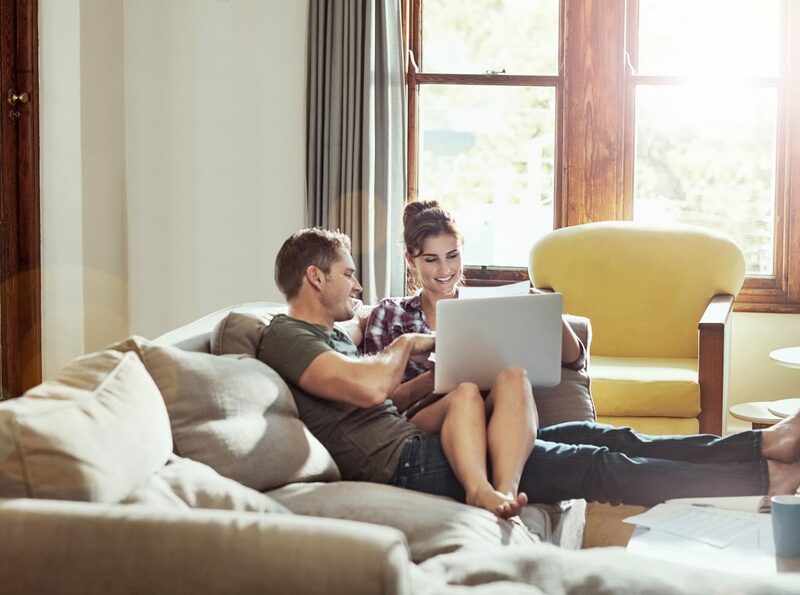 Other ways to save for your down payment include lowering unneeded expenses, skipping a vacation one summer and placing that money in savings, borrowing from a relative, or borrowing from your retirement plan. By allocating the money you would normally spend elsewhere, you may be able to save for your down payment quickly. Saving for your down payment is no easy task and it’s important to many people that they never lose the money put towards their home. Certain lenders can help protect your down payment. At First Heritage Mortgage, we offer Mortgage +Plus Down Payment Protection to borrowers who qualify. Mortgage +plus can protect up to the full amount of your initial down payment, in the event of a loss when you sell in a down market. Borrowers may find it easier to take the next step towards their home with the peace of mind knowing their hard-earned down payment is protected. The bigger your down payment, the less you will have to borrow, but it is ultimately up to you. Getting into the housing market with a smaller down payment may not be as much of a disadvantage as you think it is and there are several loans and programs that help make it possible. Although having a realtor is not required, it is a smart decision. The relationship you establish with your realtor can not only help find you the right home, but can be the difference in your peace of mind during the process as well. The major benefit of having a realtor is the expertise they provide. They know the home buying process, they know the homes available on the market, they know the local community, and as you continue to work with them, they will know your unique needs as well. A realtor’s assistance with price guidance, market conditions, negotiating, handling paperwork, and answering any and all questions you may have throughout the process can be immeasurable to a prospective home buyer. Trust is essential when deciding on your realtor. Whether that means interviewing a few candidates or getting referred to by people you trust, it’s important you feel comfortable with the individual helping you make one of the biggest purchases of your life. The neighborhood you live in can be just as important as the house itself. Who and what you choose to surround yourself with eventually becomes a part of you. The community where you live will determine where your children go to school, how much you pay in taxes, and even how you spend your weekends. When it comes to location, there are a variety of options. Many families choose to live in the suburbs where there may be a neighborhood pool, or some sort of community center. The neighborhood you live in can be just as important as the house itself. Who and what you choose to surround yourself with eventually becomes a part of you. The home you choose depends on your unique tastes, and exactly what you want out of your future house. Decisions around location, community, architecture, size, to even the small details of a house will ultimately make up your decision. Pre-qualification and pre-approval both offer great benefits to future borrowers and are often confused with one another. When you consider that many lenders use these terms interchangeably, the line between these two terms becomes even more confusing. Typically, a pre-qualification will come before being pre-approved. With pre-qualification, you’ll give your lender an overview of your finances and the lender will supply an estimate of what you may qualify for. There is typically no credit check involved, and it is not a guarantee that you will be approved for a mortgage. During the pre-approval process, you will complete a formal application. The lender will review your finances including income, debts, expenses, credit history, and other information to verify your eligibility for a mortgage. If you qualify, your lender will supply you with a pre-approval letter, which becomes a valuable resource in your search for a home. Your mortgage application is the first step in assessing your ability to qualify for a loan. It is a document submitted to your lender which outlines your financial picture and will be used by your lender to evaluate your ability to qualify. Though it varies depending on your specific lender, it typically includes information about the property you intend to purchase, as well as background information about you and any co-borrowers. It is the mortgage industry standard to go through the underwriting process. This is when the lender will assess risk and ensures a borrower meets all their minimum requirements for a home loan. All mortgage lenders have a “turn time.” This is simply the time from submission to underwriter review and their decision. The underwriter will typically issue one of three dispositions to your application – approved, denied, or suspended. Closing is the last step in buying and financing a home. During closing, you and all the other parties in the mortgage loan transaction sign the necessary documents and the property title passes from seller to buyer. The closing disclosure – required by federal law – is typically the first document you will review with your closing agent. This will provide a final list of actual settlement costs. Once the final closing disclosure and loan paperwork are signed, you are officially a homeowner! The home buying process is different for each and every person that decides to go through it. It can be stressful, confusing, and intimidating even. By educating yourself beforehand, you can be better prepared to make the right decision at each milestone. The right lender can help guide you through the process. For questions regarding the home buying process, or for general questions, please speak with one of our mortgage loan experts today!